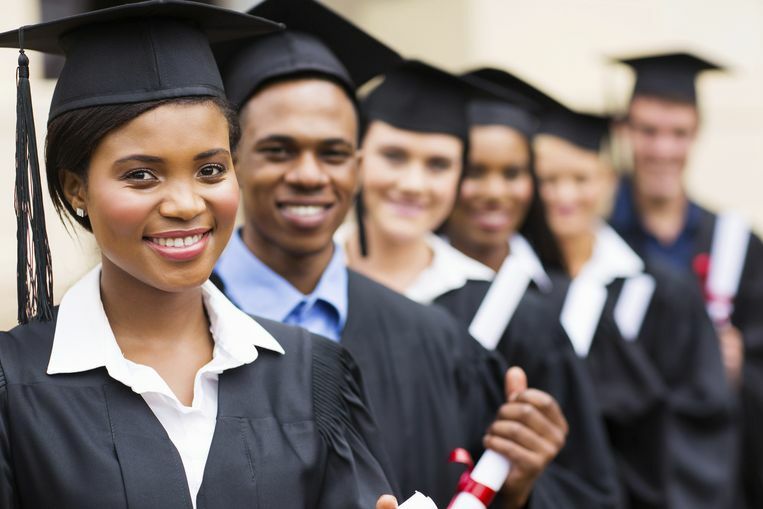 A lot of Nigerians travel to the US for the purpose of furthering their education or obtaining new knowledge whether in an academic or vocational institution. For any Nigerian to migrate to the United States to study, such individual must apply for a non immigrant under the student visa category depending on the type course or institution such individual plans to attend in the United States. This class of visa is for those who intend to travel to the United States for study in academic institutions. These include those who plan to attend a university or college, high schools, private elementary schools, conservatories, seminaries or any other academic institution. The F class visa is also required for applicants who intend to travel to the United States for language study purposes. There are basically two forms of F visa which are the F-1 and the F-2 visa type. The F-1 visa type : This is the most common form of Student Visa applied for to the United States and is required for those willing to engage in academic or language studies in the United States and also individuals who will be studying at an institution for more than 18 hours per week. F-2 visa type: There is also the F-2 visa type for applicants who are dependent on an F-1 visa type holder. This class of visa is for those who intend to travel to the United States for study in vocational institutions. These include those who plan to attend any vocational or non academic institutions which are not recognised for language training. There are basically two forms of M visa which are the M-1 and the M-2 visa type. The M-1 visa type: This is required for those willing to engage in vocational studies in the United States. M-2 visa type: There is also the M-2 visa type for students who are dependent on an M-1 visa type holder. Individuals must obtain a student visa corresponding to the form of study they intend to undertake to allow them travel to the United States for such purpose. An individual who is not a US resident may not be allowed to enter into the United States to study or pursue an academic or vocational education on a different kind of visa class such as the visitor ( B class ) visa or the Visitor waiver Program no matter the duration of the program. The visitor visa may however be utilised for informal or recreational study purposes such as learning carried out during tour as a tourist in the United States. The student visa may also not be required for individuals who intend to undertake a study for which no academic degree or certificate is issued. An applicant who intends to travel for a recreational study program may do so under the Visitor visa or B category visa. The following are the basic steps an individual must complete in order to obtain a student visa to carry out any academic or vocational study program in the United States. Important Note: If an applicant has a relative such as spouse or children travelling along with them to the United States during the course of their study, such relative are expected to enroll in the SEVIS as well and obtain the I-20 form before they can go ahead to apply for the corresponding visa class. However, relatives are not required to pay the SEVIS fee. After you have obtained your I-20 form, paid the SEVIS I-901 fees and enrolled in the SEVIS, you may then go ahead and pay your visa application fees. Every individual applying for the United States Student visa including children are expected to pay the visa application fee, this fee is usually non refundable and cannot be transferred from one applicant to the other. Different types of non immigrant visa have different fees attached and must be paid whether your visa is granted or rejected. Usually Nigerians applying for student visa to the United States are expected to pay $160 for visa application and payment is made at any Guaranty Trust bank using local currency. You can also pay your visa fees online if you have an account with Guaranty Trust bank. It is important to make copies of all your payment receipt for reference purposes. Important Note: Exchange rate used is N360 for one dollar. Always check for the current exchange rate at the time of your application. For more information on how to pay your visa fees online you can click here. After you have paid your visa application fees, the next step is to complete your visa application form. Every applicant for the US student visa is expected to complete the Non immigrant application form also called the DS-160 Form. This must be completed correctly and submitted online before you can be allowed to proceed to the interview stage at the United States Consular or Embassy. Typically, the DS-160 form consist of a barcode number which you must look out for, this will help you schedule an interview during your visa processing period. It is important that you follow all instructions on filling the form carefully, enter correctly all information and do not falsify or hide information as this could jeopardise your eligibility to travel. Follow this link to find the guidelines to completing your DS-160 visa application. These will help you avoid errors and successfully complete your application. Also, you should ensure that your signature is properly appended on the form before submission. Important Note: Ensure you print your DS-160 confirmation page containing the barcode number. You will be required to come with it for your interview and will not be granted interview without it. Also you will be required to upload a photo of you while completing the application form. The nest step after completing and submitting your visa application form is to schedule your visa appointment. You are advised to schedule your visa interview date at the United State embassy or consulate in Nigeria as it is more difficult to obtain a visa from an embassy outside your country of residence. Follow this link to schedule your visa interview appointment. In a case where you were not able to upload a photo while filling your form, you must go to the interview with a copy of your printed photo. Your form I-20 and /or a certificate of eligibility. Possession of proof of funds: you must be able to provide proof of adequate funds to ensure your smooth stay in US. The United States immigration officer must be convinced you can take care of yourself while in the States. You may need to provide proof of funds in terms of a bank statement of your account with history for at least three previous months, pay slips, proof of assets or investments. You must have a genuine reason obliging you to return to Nigeria after your study in the US. This could be your family, stable job, assets such as houses, businesses or any other thing that will assure the United States immigration officer of your return to Nigeria. Important Note: Ensure that your documents are valid and not falsified as this may jeopardise your chances of being granted a visa. This is the last stage of your application process. You must ensure that you keep an eye and follow up on your application process. You can follow this link to track your DS-160 and visa application status. You will need to provide your interview location as well as your DS-160 barcode number. For new students, a student visa can be issued up to 20 days before the commencement of the student program at the institution. However, a student applicant will not be allowed to enter into the United States longer than 30 days to the commencement of his or her program. 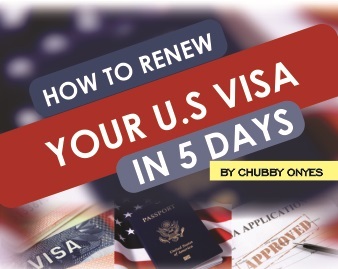 For returning students, a visa can be issued within a shorter period and the student is allowed entry into the United States at any time during the study period. It is important to know that after your studies in the United States, you must exit the country within sixty (60) days of your course completion date as depicted on your form I-20. However, in a case where you require an extension, you may apply for such by visiting the U.S. Citizenship and Immigration Services (USCIS) website here. In a case where an individual on a student visa in the United States decides to get married or gets an employment offer, such applicant must apply for a change of status through the U.S. Citizenship and Immigration Services (USCIS). However if such change happens while already outside the United States, then such person is require to apply for a new visa.